During my one-year assignment, I supported the United Nations Entity for Gender Equality and the Empowerment of Women (UN-Women). I focused on the programmes that aim to prevent violence against women and girls and to ensure the restitution of their rights. I am grateful I was given this lifetime opportunity, and I strongly encourage other people to become UN Volunteers to help fight inequalities. Quito, Ecuador: During my one-year assignment in Quito, Ecuador, I supported the United Nations Entity for Gender Equality and the Empowerment of Women (UN-Women). I focused on the programmes that aim to prevent violence against women and girls and to ensure the restitution of their rights. Violence against women and girls is one of the most frequent violations of human rights. Some consider it a pandemic, as no country is exempt from it. In Ecuador it is estimated that six in every ten women have suffered from some kind of violence during their lifetime. This worrying statistic made my assignment even more challenging. 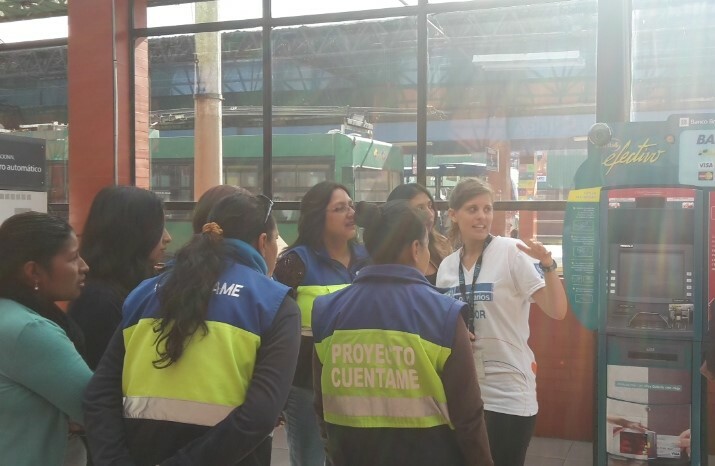 When I came to Ecuador I knew I wanted to reach two goals: learn as much as I could, and connect with the local population to have a better understanding of the local context. I am grateful I could achieve both. On the one hand, I worked with very competent colleagues who were always ready to give me useful tips whenever facing demanding tasks. On the other hand, the various exchanges I had with the groups of people I was working with enabled me to learn a lot about the problematic of gender-based violence within the country. These exchanges took place during short trainings and awareness programmes on human rights and gender equality given to officials of public institutions, students, children and adults. I have always tried to involve as many people as possible in the discussions, while giving them the time needed to express their views. During my assignment, I also supported some of the activities organized as part of the UN Secretary Generals campaign UNiTE to end Violence against Women and Girls. It was very encouraging to see that the entire country is taking important steps to eradicate violence against women and girls, and that, although statistics are still worrying, important progress is being made at the national level. One of the biggest challenges at UN Women in Ecuador has been supporting the elaboration of a global strategy for mainstreaming gender within the Union of South American Nations (USAN). Coordination was not always easy, as I needed to work with the officials of the different countries of the South American region. However, their determination to achieve gender equality enabled us to always find responses to the obstacles presented. I am grateful I was given this lifetime opportunity, and I strongly encourage other people to become UN Volunteers to help fight inequalities. I leave Ecuador happy to have lived such an enriching experience, and I thank all the people that have contributed to making my stay unforgettable! Bio: Shalila Pucci (Switzerland) is an international UN Volunteer working to prevent violence against women and girls. Her assignment is fully funded by the Swiss Government to support the work of UN Women in Ecuador for the duration of one year. She previously worked for a Swiss NGO, where she supported the formulation and implementation of gender projects in Nepal, and she also conducted a three-month field research project about domestic violence in Uruguay.